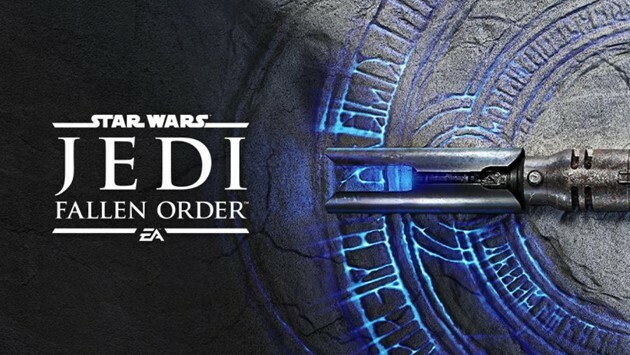 A brand new trailer for Star Wars Jedi: Fallen Order was unveiled during the annual Star Wars celebration event which depicts some further and exclusive details for the upcoming title. The teaser video initiates with the main protagonist Cal Kestis who is narrating his life happenings after the occurrence of devastating Revenge of the Sith event which leads to Empire’s dominance across the galaxy. Cal tells that there are only three rules to survive and that includes “Don’t stand out,” Trust no one and “Accept the past.” As Cal is trying to survive the Jedi Padawan and his trying to make sure that the Empire never gets to detect him. Cal is working as salvage and has created a fake identity to secure his original information from the Empire. But unfortunately, Cal uses his secret powers to safeguard one of his friends which he meets while working as a Salvager. And ultimately by using his powers, Cal blows away his secret identity. And when the two Cal and his bud were searching for resources inside the crashed Star Destroyer, a sudden attack occurs on both of them by the mighty Empire. Moreover, a mind chilling chase starts and the trailer footage suggests that players will have to formulate some impactful strategies to escape from the hunters and survive with the A.I friend. Interestingly what seemed to be a little scuffle, ultimately results in a full-fledged deadly chase as the Imperial Stormtroopers end up facing to a mysterious masked figure. This masked figure is indeed the second sister who was assigned the task of hunting any remaining Jedi survivors and Purge Troopers by none other than “Darth Vader” himself. Moreover, the trailer also showcased “Cal” breaking his own rules by fighting back in opposition to the Empire. He chooses the absolute path of summoning the Force in front of everybody and dramatically alters his original mission of collecting every evidence that helped in proving that Emperor Palpatine was the who ordered the killing of Jedi and clearing his path to eliminate all of his enemies. The closing scene of the teaser trailer was quite impressive as it featured Cal saying Trust Only In The Force. And finally during the closing window he ignited is Blue Lightsaber. The merger of Respawn and EA has proven to be quite mesmerizing as they recently have launched their treading battle royale style online title, Apex Legends. Surely enough the chemistry between the two studios is undergoing smooth functioning and this new Star Wars title would surely improve the collaboration between the two giants.